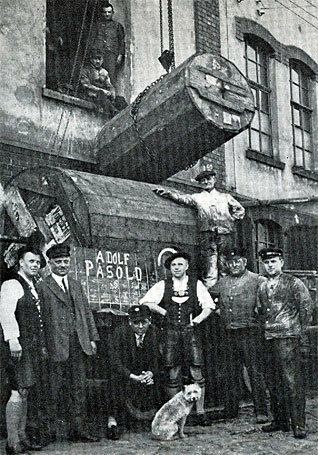 The Pasold Company could trace its roots back for more than 300 years. It had been a proud member of the Weavers Guild in mainland Europe. The family had pioneered new manufacturing techniques in the eighteenth century, and had passed a love of engineering down from father to son through the generations. It had relocated several times over its long history before setting down roots in Fleissen in the Sudetenland, where it had built a reputation for innovation and excellence. This factory was close to the border with Germany in today's Czech Republic. The Company's leadership had the foresight to diversify overseas to the United Kingdom, fearing the volatile political scene in the 1930s. The prophetic move allowed the family to switch their headquarters after the German invasion. They had managed to move overseas, taking their money with them, before this was prohibited by law. The new British operation used state-of-the-art equipment and the latest techniques. This helped it to grow rapidly, particularly after introducing the Ladybird brand, which became a favourite around the world. This page explores Pasold's long and distinguished history. Ladybird and Woolworths are now brands of Shop Direct Group. All trademarks are acknowledged. 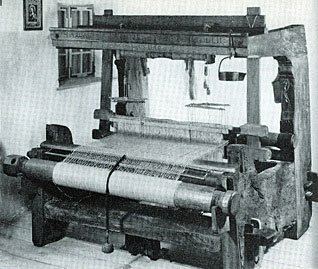 Three hundred years ago a Bohemian weaver called Johannes George Pasold established a knitting and weaving business in Fleissen. 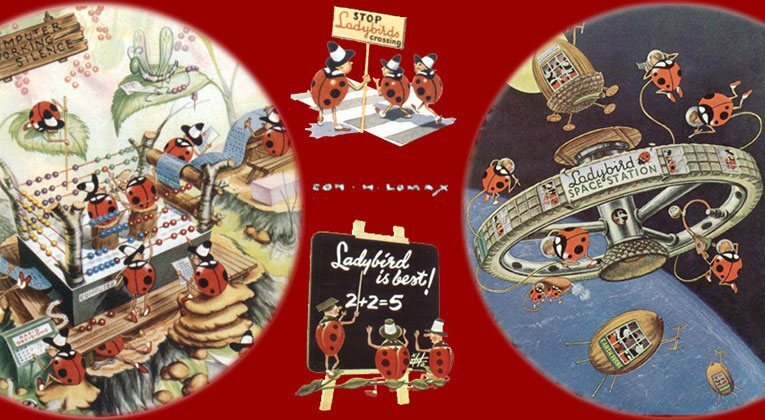 Thanks to the creativity, marketing flair and technical innovation of successive generations, its Ladybird brand became one of the most loved ranges of children's clothing in the world. Legend has it that Johannes saw a ladybird in a dream, which inspired the venture. 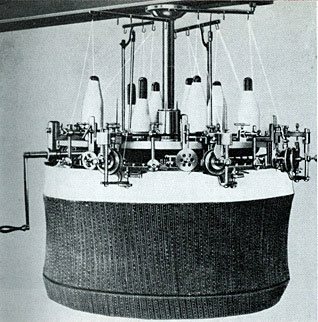 From the outset Pasolds were at the forefront of garment technology, using the latest machinery and maufacturing techniques to make silky smooth clothes that were pleasing to the eye, resilient and fun to wear. In the eighteenth century they perfected a way of knitting rather than weaving garments, which they kept as a close-guarded secret. The Company searched the world for the latest equipment. It transported machines over great distances to keep its factory up-to-date, mastering the huge logistical challenges involved. The weighty plant had to be hauled on purpose-built bogeys by horses in harness, and could only move a short distance each day. When it finally reached its destination, a window frame was removed on the upper floor of the factory, and a special crane was used to manoeuvre it inside. The whole town gathered to witness the spectacle of the elaborate 'contraption' rising slowly into the sky, and applauded as it came to rest in its new home. Many onlookers later became loyal customers. This passion for engineering was passed from father to son. Each generation built on the knowledge-base to master the latest machinery and manufacturing techniques. If nothing was available to achieve a particular goal, they would adapt their existing plant or commission an engineering company to build a bespoke solution from their schematic drawings. This maintained a highly integrated manufacturing process, incorporating strict quality control at every stage. This set Pasold apart from its competitors. By 1900 Pasold had built a strong reputation for excellence, and was selling right across the Continent. 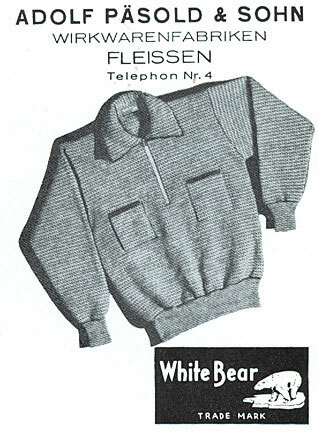 It used the brand name 'White Bear' and had devised a logo which appeared on most of its garments. Keen observers may note the uncanny resemblance to the trademark of Fox's Glacier Mints today. The firm sent salesmen from their base in Fleissen, near the border with Germany, to Prague, Vienna, Berlin, Paris and London in search of orders. The United Kingdom proved a particularly strong market, and was chosen as the home for a second factory. Records show that the rationale for this move was the family's increasing disquiet about the unfolding political scene in Weimar Germany and the rise of the national socialists. The risk management later proved prophetic and helped ensure the Company's survival and the family's well-being. The new factory was built on a green field site in Langley on the Buckinghamshire/Berkshire border. It balanced a pleasant, rural location with proximity to London, and boasted high quality local labour and a supportive Town Council. The project was meticuloulsy planned. Different Directors oversaw the main build, recruitment and training, and sourcing machinery to surpass the efficiency achieved in Fleissen. There was also a sales drive. The first large order came from an unlikely source. The family had targeted Woolworth's more in hope than expectation. They later revealed that they had been over-awed by its legendary turnover and buying power, but had been egged on by a friend. Their bravado had paid off, as they left the Threepenny and Sixpenny Stores' New Bond Street headquarters clutching a huge order. Its Buyer had liked the samples he was shown, and had agreed to take a trial order, with a view to a long-term relationship. In offering to pay up-front for 8,000 pairs of knickers, he had also eased cash-flow worries at the new factory. The family loved Woolworth from that day forward because of its key role in getting them established in the UK. It later transpired that word of the Woolworth endorsement, which they had exploited ruthlessly, had opened the doors to the Buying Offices of every one of its rivals. In 1938 the family's worst fears proved well-founded. 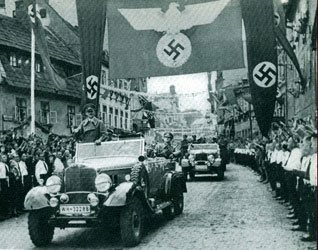 Adolf Hitler's troops 'liberated' the Sudetenland. The invaders over-ran the picturesque quarter, and applied their own ways of life and methods of business. Soon they regulated every aspect of manufacturing, and licenced every import and export order. Observing from Britain, the Pasolds were incensed by the way the occupiers ignored the guarantee of religious freedom that had shaped Fleissen since the Treaty of Westphalia in 1648. The Pasolds had been drawn to this open-minded tolerance in choosing it as their home. They hastily transferred all control to Langley. Taking stock in 1938, the Pasold family could count many successes. They had invented the ruderleibchen, which became known as the 'T' Shirt. In 1900 it had been designed as an undergarment but had shown much greater potential. New patterned, multi-colour versions were marketed as The Kollektion and sold by the million. The market for the UK factory quickly began to grow across the British Empire, and from Canada into the USA. The family hatched a plan to replicate the Langley plant on the other side of the Atlantic. A cousin sailed to Canada to oversee the venture. Langley was bustling. It began to operate a night shift, keeping its production line running around the clock. As well as servicing high demand for knitted fashions and luxury underwear from the home market and the Irish Free State, it had taken on contracts originally placed at Fleissen. The European plant had been commandeered to make uniforms for the Third Reich. The long-serving foremen were placed under SS oversight, but were given a free rein so long as production targets were met. The goal in Britain was to become less dependent on chain stores, whose patronage could be withdrawn at any time. A significant proportion of Langley's production was sold through Woolworth's and M&S, and trade with British Home Stores and Lewis's was also growing. All four chains insisted on selling under their own names or trademarks. Pasold thought it prudent to balance the multiples by establishing a network of independent shops that would sell its high-end lines. Its goal was to recruit 1,000 outlets who would sell its childrenswear under a new brand name, Ladybird . The sales pitch centred on Johannes George Pasold's dream, and proved effective in attracting shop owners around the country. The artists at Langley brought the brand to life. Their drawings and icons were inspired. 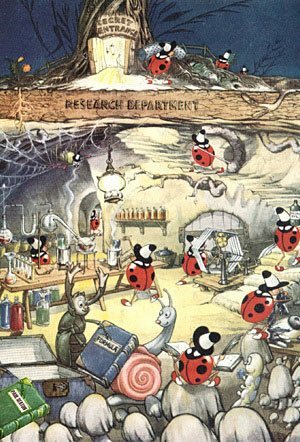 The human-like ('anthropomorphised') Ladybird characters, which started to appear in advertising from 1950, captured everyone's imagination. Many of the campaigns were tuned to the spirit of the age, featuring mad scientists, primitive computers and space stations. 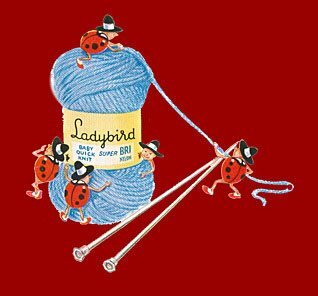 By the mid 1960s Ladybird had become established as one of the most successful brands in Britain, with the Langley factory producing millions of garments every year and exporting them all over the world. The Pasolds were disappointed that the chain stores still prefered to sell under their own brand names, selling Ladybird garments as Winfield at Woolworths, Keynote at Littlewoods, St Michael and St Margaret at Marks and Spencer and Prova at British Home Stores. Branding energy was directed to the growing network of independent stockists. 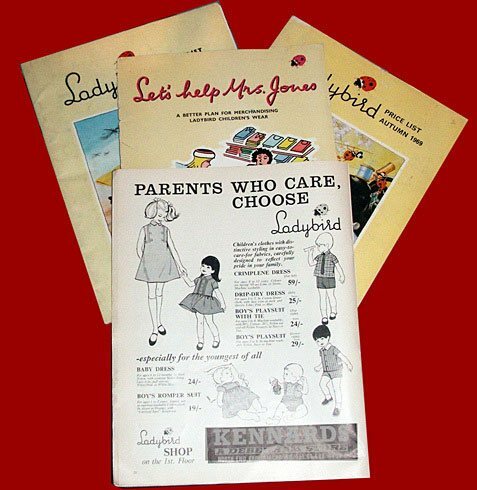 A Ladybird franchise came with free access to an extensive library of marketing materials, which aimed to create a distinct national identity to rival the multiple retailers. Stockists were given up-to-date fixtures to sell from, backed by smart point of sale materials showing the bug characters, and subsidies if they chose to advertise locally. Pasolds' goal was to offer high quality at the lowest possible price. But its stockists had to make a living, and found it hard to compete with the chains, and their economies of scale. 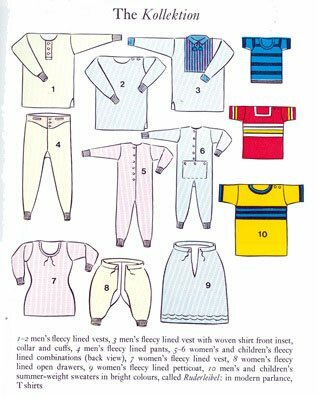 As a result most Ladybird clothes were sold as 'Sunday-best' for all but the wealthiest families, and the formal styles outsold the beautifully designed casual ranges. Eric Pasold later admitted that his pipe-dream throughout the 1950s and well into the 1960s had been to strike a deal with Woolworth's so that great Ladybird fashion could be priced to make it available to all. His proposal had fallen on deaf ears, as the chain sourced an increasing amount of its Winfield range from factories in the Far East to boost its margin. British manufacturing industry was decimated during the 1960s as cheaper goods were imported from overseas. This forced manufacturers to consider transferring production off-shore, or ruthlessly cutting costs. Many opted to merge so that they could share plant and equipment and trim their workforces. Pasold accepted several approaches from competitors to become a 'white knight', buying them instead of less desirable suitors. In the short term this drove big sales growth, but did not address the underlying problem. Pasold gave the newcomers guarantees that there would be no job cuts, which added complexity with no commesurate reduction in overheads. The same pressure was affecting the High Street. Some independents folded, while others were scooped up by chain stores. Despairing of Woolworth's, the fashion house devoted much of 1962 to negotiations to run the Childrenswear Department at John Lewis. In 1963 there were similar discussions with Pingouin of France. Both schemes failed when the retailers accepted rival bids. In 1964 Coats, Paton and Baldwin proposed a merger. The approach from the world's largest sewing thread manufacturer, based in Glasgow, appeared to be a win-win. Its cheaper sources of raw materials would bolster Ladybird, while the fashion brand could also provide a new market for its threads and wool. 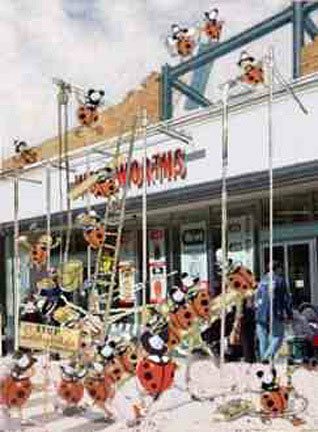 The Pasold Board agreed to the proposal hoping to turn Coats' 300 loss-making Scotch Wool Shops into a Ladybird chain. The companies merged in 1965. The merger was disastrous. The culture of the two organisations proved incompatible. Pasold had operated as a family business, while Coats relied on heavyweight Directors with international experience. Rather than takeover the Scotch Wool shops, Ladybird Directors were tasked with turning the chain around. Meanwhile Coats personnel took the helm at Ladybird. Hard-nosed commercial decisions were taken. Production gradually shifted overseas to cut costs. 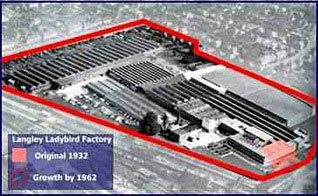 Then investment in the Langley Factory was halted and the facility was wound down and utimately closed. In 1984 Woolworths approached Coats Viyella to explore the possibility of securing exclusive rights to the Ladybird brand in the UK. The British chain had recently changed hands and wanted to establish a new children's clothing range with a reputation for quality. Coats Viyella agreed in principle, subject to conditions. Woolworths had to accept guidance and allow it to sign off every garment's design and quality. This suited the retailer's new Board perfectly. It welcomed advice on how to re-engineer its business processes and retrain its Buyers, and agreed to fund this through a fixed fee on every garment bearing the Ladybird logo. The companies launched a small trial to inform a new range plan and sourcing strategy. The test stores sold their try-outs virtually as soon as they went on sale, proving the potential beyond doubt. A national roll-out was planned for the Spring of 1986, which is covered in a separate Museum exhibit. In the year 2000, 16 years after the launch of Ladybird at Woolworths, as part of a corporate restructuring programme following a dip in their profits, Coats Viyella decided to make changes to their Contract Manufacturing and Viyella International Divisions. 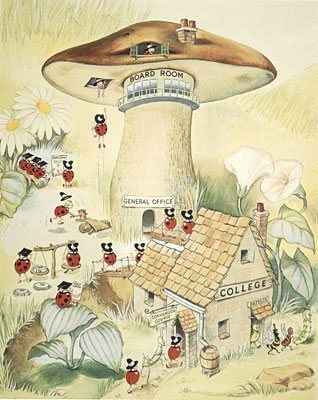 The Ladybird name, including the worldwide brand rights, was sold outright to Woolworths. To complete the story, after building an enviable market share for its Kidswear while part of the Kingfisher Group, the retailer changed direction in 21st century, giving the range much more prominence. This was a great success, in marked contrast to other aspects of its new strategy. The 99 year old chain hit the rocks during the Credit Crunch of 2008, falling into Administration. While the Administrator, Deloitte LLP, was unable to save the High Street stores, the Ladybird brand was rescued by Shop Direct Group Ltd in January 2009. It has since been relaunched on-line. Shop Direct continues the proud tradition, first dreamt about by Johannes George Pasold over 300 years ago. It offers a contemporary, well-made range of children's clothing at highly competitive prices through its popular very.co.uk and Littlewoods websites. The Woolworths Museum would like to thank Professor David Jenkins, Professor Pat Hudson and Dr Kaori O'Connor of the Pasold Research Foundation for their encouragement in preparing this feature.